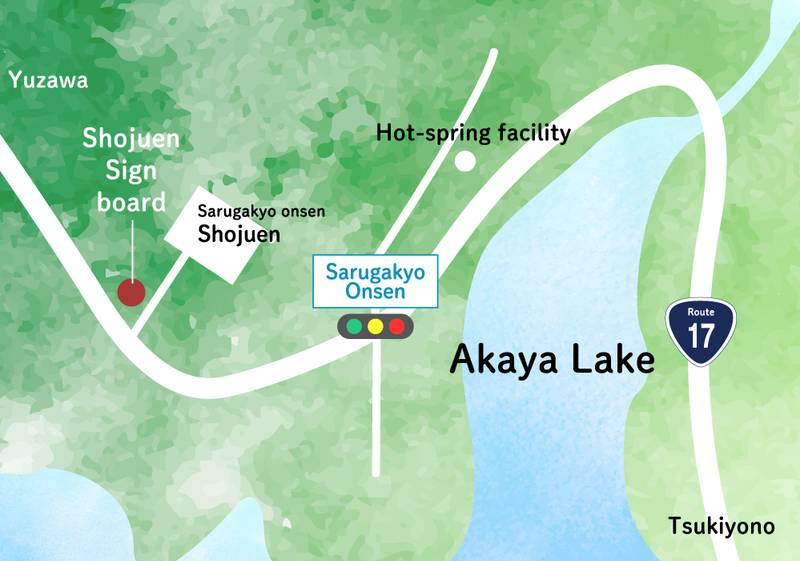 Shojuen is located near Naeba skiing resort in Niigata, on National Route 17 connecting Gunma and Niigata prefectures. 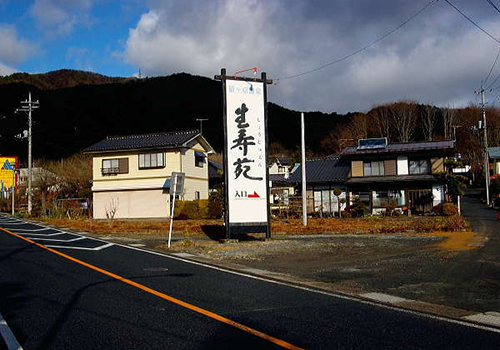 A large Shojuen signboard is the sign for the hotel entrance. 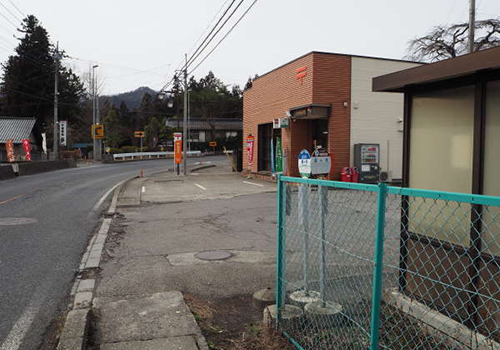 This sign is on your right along National Route 17, approximately 500m away from the Sarugakyo Onsen traffic signal from the Tokyo side. Step off at Sarugakyo terminal station and walk towards the post office. Take the Kan-etsu bus from the nearest train stations (Gokan station for local JR Jo-estu line, and Jomo-kogen station for JR Jo-etsu Shinkansen bullet train line) and step off at Sarugakyo terminal bus station. The hotel is 3 min walking distance from the bus station. 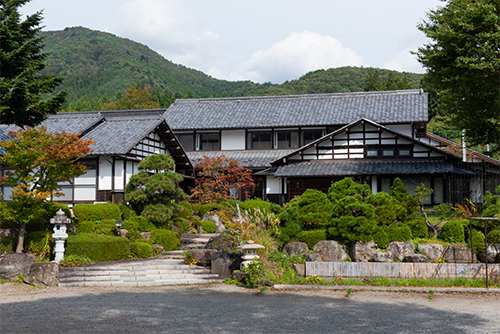 It takes approximately 30 min from the nearest train stations (Gokan station for local JR Jo-estu line, and Jomo-kogen station for JR Jo-etsu Shinkansen bullet train line) to the hotel. The one-way taxi trip costs approximately 5,000 yen. The taxi fare is subject to change. * Taxis might not be waiting at the stations depending on the time due to low demand.